My brother’s in good hands. He pauses a yard away and stares. She follows his gaze, and her wide grin drops, a sadder smile curving her lips. Her eyes radiate warmth. For some reason I feel relieved, as though I’d been dreading our meeting, and what she might think. “Min-ah, why are you here?” Hyun hurries forward. Jian waits, her eyes already filling with knowledge…and tears. I look away. Seeing her empathy is difficult. I wonder what she’d say if she knew I’d ordered that attack on her last year. “I’m ready, hyung,” I say softly. Hyun’s eyes widen. I suddenly realize that I’m ruining his day, his reunion with Jian. I stare at his suit jacket, insecurity and anxiety threatening to burn a hole through my stomach. A second hole. I’m still recovering from the first one. Hyun’s eyes grow a suspicious shade of red. My stomach churns. The back of my throat burns with the need to weep. “I’m sorry,” I whisper, not knowing what else to say. A second later his arms are around me, threatening to take what little breath I can keep in my lungs. “No I am,” his voice trembles. I cling tighter and say nothing. We’ve an agreement that way. He allows me to say that I was born this way and I allow him to say that it’s his fault. We never mean it. The hug is embarrassingly long but I don’t mind. The burning in my eyes intensifies. I give into the tears. I hear someone blow their nose loudly. Jian must carry a handkerchief. How like her. Hyun straightens, wiping his eyes. I wipe his nose with my sleeve, taking on his role for once. For perhaps the last time. “I’d like you to do it,” I turn to Jian, catching her in the middle of a second long nose-blow. Her eyes mist over once more as she nods. “Noona will take care of you,” she bestows a hug upon me as well. I silently apologize for what I did to her before letting go. We enter the police station and walk up the strange stairs with its zig-zag walkways. Kang Eunhyuk, Myungwoo and the other look at our tear-stained faces with surprise. They start upon seeing me before breaking into identical grins. Ah, they assume hyung and Jian were moved to tears by my miraculous return. My lips twitch at their exuberance. Perhaps I was liked more than I imagined. Jian shakes her head slowly before taking my hand and leading me to the interrogation room. Her fingers are so much smaller. She seats me down in the same seat I watched my past clients come and go. She sighs, seeing the irony of it, and pulls her chair close to mine, blatantly ignoring police protocol during investigations. My hands tremble. Part of me still doesn’t want to do this. The selfish part. It wants to live with Hyun and tolerate Jian coming over every now and then. Perhaps even more than that. But the rational side of me resists. The side that still understands only 25% of what I did wrong but is prepared to pay for all 100%. Because that’s the only way hyung and I can be free. The way that promises a chance at a happy ending. A year of happiness was enough. A tear drops despite my resolve but I nod at Jian. She nods back before the faintest light of mischief returns to her eyes. “I know this really great lawyer,” she says. My lips twitch once more. I take a deep breath. She nods encouragingly. “Well that settles it then,” she says waving her highlighter in my general direction. It slips from her fingers to the floor. I shake my head. “Is that all, Lawyer Jang?” I ask. She nods, scrabbling about for the highlighter. She speaks more to herself than me, waving the highlighter about once more. A distinct smear of pink marks the area below her bottom lip. I sigh. “I’ll see you at the trial, Lee Min-sshi,” she grasps my hand firmly and smiles. Once again, I feel oddly reassured, just as I did when she came in. She pauses as the doorway. With an appalling hair toss, she nods again, and leaves. Lawyer Jang Hyeseong. I shake my head. A strange woman. Even more bewildering is the man defending me with her, Lawyer Cha Gunwoo, with an appalling taste for hair gel, white socks and short pants and an earnest, “let’s go!” air about him that had me wanting to flee the other way. But they’re good people, a rueful smile crosses my face. As expected of Hyun, and Jian, I wouldn’t be alone. Even Chief Kang Eunhyuk visits, though he never knows what to say. He merely sits there and asks me how I’m doing. 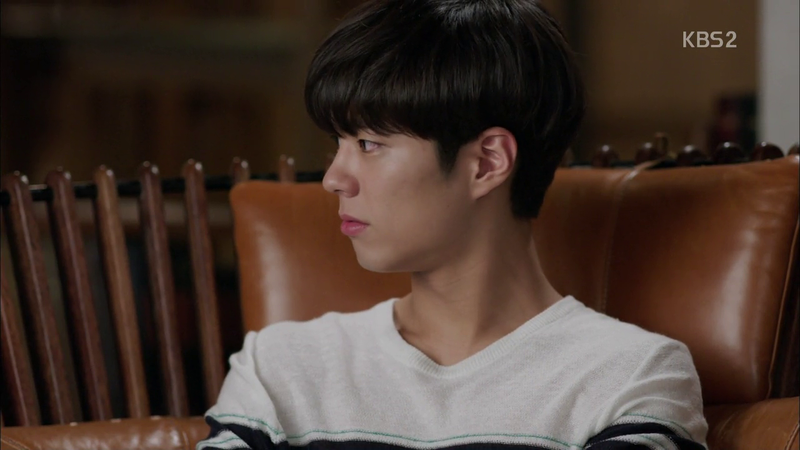 I think he still feels guilty that his father allowed Lee Joonyoung loose in the world. Part of me hates his father. But that part grows smaller everyday. Perhaps by a minuscule percentage, but it does recede into the past. Where it belongs. And besides, it isn’t right for a son to have to pay for the sin’s of this father, though Kang Eunhyuk plans on testifying at my trial to his father’s misdeeds, in hopes of somehow making reparation. I tell him he’s done nothing wrong but he merely fidgets, looks at the floor and then me, with an expression so mournful you’d have thought I was on my death-bed. It’s strange, having all these people take responsibility for my life. First Hyun, then him. I’m escorted back to my cell. I take a novel from the stack of books someone donated to the prison. Crime and Punishment by Dostoevsky. How apt. I start to read. The trial was a dizzying blur. Cellphone cameras flash as I enter, people murmuring as they watch me sit between Lawyer Jang and Lawyer Cha. A policeman lounges on a jury seat, no doubt to restrain me if I make a dash for it. My story was turned into a media circus. The polite, young lawyer for so many chaebols families turned out to be a psychopath. Reactions were all along the line of “but he seemed like such a nice young man? Who’d have thought he’d be that warped?” All my clients cut ties as though I was diseased. The trial will be difficult. I murdered Chief Shin, one of the prosecution. Eunhyuk, Seungjoo and the others have put together enough evidence to demonstrate that the Chief Prosecutor had done a great deal more dirty things than just covering up for his henchman’s murders, in an effort to demonstrate to the public that I was merely carrying out my own justice. It reminds me of something Hyun said sometime last May as we watched a Western. “But don’t the bad guys run free then?” I asked, in an effort to understand. Hyun smiled, reaching out to muss my hair. A content smile curves my lips at the gesture. Fear rose in the pity of my stomach at his words. I didn’t want to go to jail, to stay alone in that tiny concrete cell. “What use is there in doing so?” I asked, feeling panicked. He’s right, I muse at my trial. There are so many other better things one could be doing. Like going to amusement parks, like eating hyung’s home-cooked food and the cake he baked me for my birthday, the first time I celebrated it in 20 years. Jian, Eunhyuk, Seungjoo, Myungwoo and Hyun enter. They wear similar somber expressions. Hyun’s is tinged with pride. I resist the urge to smile in the courtroom. They’ll think I’m insane. 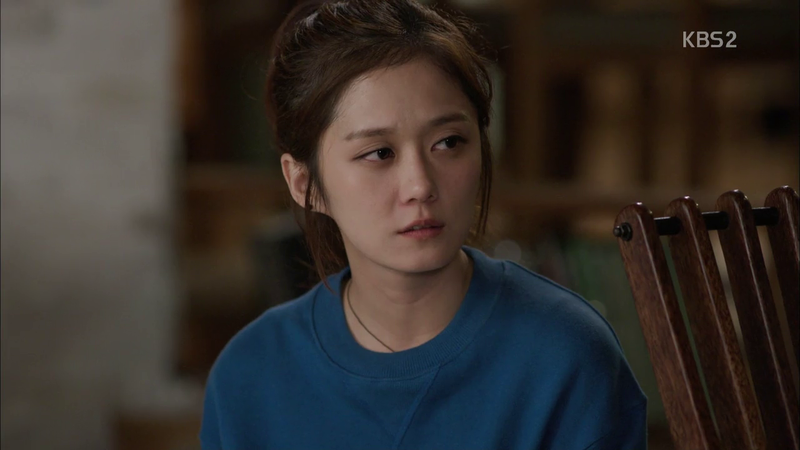 Lawyer Jang turns towards the jury, gazing at the policeman, an unspoken question in her eyes. The policeman turns to her, I realize he’s been watching me this entire time. A sad smile curves his lips. He nods and Lawyer Jang visibly relaxes. “You’re in good hands,” Lawyer Cha says for the umpteenth time as the judge arrives, a short, nearly bald man who instantly smooths what little hair he has upon seeing the reporters. Sitting down with a flourish, he introduces himself as Judge Kim. It went by like a perfectly choreographed dance. Every time the prosecution – headed by a man with spiky hair that Lawyer Jang refers to as Grass-head – raised an argument, evidence was brought forth. In steps Kang Eunhyuk with proof including the fishing magazines containing tips for catching other criminals. Judge Kim looks appalled. The policeman gives Lawyer Jang a thumbs up. She drops her highlighter. I step in to testify to the identity I was given, which Lawyer Cha backs up with all sorts of documentation. I plead guilty to that as Lawyer Jang and Lawyer Cha speak of my lack of faith in the justice system after my father’s death was glossed over because the police were being aided by Lee Joonyoung. About how no one bothered to search for me, about how I’d been led to believe that my brother abandoned me. With different lawyers this would sound like a fairytale, utterly ludicrous. Yet they convey it all. The depth of my anger, the extent of my pain. Throughout it all the policeman watches. I realize he’s on jury duty. The prosecution asks. Hyun slowly steps up. He speaks of the police’s efforts to track him down, speaking of Hyun Jisoo’s murder and the matter of fingerprints, of the man who tried to kill me and his being found dead. He speaks of my stab wound and Lee Joonho’s expertise as a medical examiner and finally references Eunbok’s case and his testimony against Lee Joonyoung. “He is out there. But we will find him,” he vows. My brother is rather cool at times. “What if he kills again?” The prosecution ends their closing with this statement, reminding those listening that I could easily commit murder once more. Lawyer Cha closes the trial, speaking of my career as a lawman, saying that after having been abandoned by law, I believed myself to be outside of it. It’s an angle i never considered. I’m not entirely sure it’s true. I turn to Hyun and slowly dare to raise a questioning brow. His lips twitch. We have that in common. We can’t smile in serious situations, but we let our lips show our desire to do so. Lawyer Cha’s argument appears to strike a deep chord in Judge Kim who leans back in his chair looking visibly shaken. The back of my throat constricts, I straighten at that part and nod, at the judge and at the policeman. For some reason, it’s important that both believe me. Judge Kim surprisingly speaks to me directly. I stand, not knowing where to place my eyes. I choose to look at Hyun. The prosecution rests in stunned silence. Jian wipes away a tear. The policeman smiles. I await my sentencing. Lawyer Jang and Lawyer Cha fix Judge Kim with identical hard stares. The policeman turns as well. It’s good to know that I have one friend on the jury. The prosecution calls once more for life-imprisonment. I begin to tremble. Lawyer Cha takes my hand and proceeds to crush it. I realize he is shaking as well. It warms me. One by one the jury raise their hands. One, two, three, four. My heart stops. Four people, out of nine vote for life imprisonment. The judge asks how many vote for an adjusted sentence of ten years, with all further modifications allowed, if I behaved well. One, two, three, the fourth person takes a good twenty seconds before raising his hand. Then, the policeman raises his hand, as though having made his choice from the beginning. The gavel knocks once…twice…thrice. I collapse into my seat, head bowed. Lawyer Cha pats me on the back as the crowd explodes. Judge Kim heaves an enormous sigh, gets to his feet and unsteadily waddles away. I like him. Hyun runs over before I’m taken to my cell. He’s crying again. “It went better than I expected,” I say in a rush. “Yeah,” he wipes away a stray tear on my face. I realize I’m weeping as well. “Ten years is still a long time,” I whisper, ashamed of my greediness. Someone blows her nose. My lips twitch. He nods. I clap a hand on his shoulder. He looks torn between amusement and awkwardness. My brother really mustn’t have had a love life before. The policeman in the jury lopes over. He’s tall and rather young, I realize. Perhaps a year or two older than me. It’s time for me to leave. Hyun clings to my hand. “I’ll see you, hyung.” I turn to leave. “Min-ah!” he calls urgently. He looks at me and I suddenly know what he’s going to say. I realize that it must be the first time he’s said it judging by he’s struggling to get it out Even she hasn’t heard it yet. He envelops me in a bear hug. “Saranghae, dongsaeng-ah” the words are muffled against my shirt before he draws away. Lawyer Cha sniffs. Lawyer Jang hunts in her purse for something imaginary, trying to surreptitiously wipe away a tear. The others all stand behind Hyun silently offering their support. Well, Jian isn’t being all that silent. They understand this is Hyun and my moment. “I’m Park Sooha,” he says reaching out a hand. Recognition courses through me. He cuffs me gently. Hyun has to let go off my hands. We make our way to the large wooden doors at the side. I turn my head at the last to see them all there. Watching, waiting. “We’ll meet again,” I say. Some say the sunlight blinds them as they leave the jail. That wasn’t the case for me. I’d been out several times before that for my retrial and the reduction of my sentence. They said that good behaviour is its own reward. I’m beginning to understand that now. They all visited me during the past while. Myungwoo even smuggled in case details on a notepad and asked for my help, about four years ago. I became an unofficial consultant for the team. Hyun’s white car pulls up by the door I’ve just left. The door to the past that I’ve shut firmly behind me. He turns off the ignition and comes out. I realize how much older he’s become. There are new lines in his face but they don’t appear to be from stress. He looks good. “Get in,” he says with a grin. I nod before launching into a bear hug. Hyun returns it in full fervor, clapping both hands on my shoulders. Neither of us comment on the fact that we’re both teary. I get in, and Hyun drives me home. The world doesn’t appear to have changed much these eight years. Then again, it’s not like I knew much of the world anyway. Only the darker side. I have the rest of my life to find the other. I relax against the seats. Hyun shoots me sideways glances. “You look happy,” he says. The car pulls up in the driveway. I’d thought I’d feel nervous, returning to where it all began. But it feels different now. It feels like home. Hyun suspiciously indicates for me to enter first. Surely…I think, just as I spy Myungwoo’s foot poking out from underneath the table. “SURPRISE!” yell the worst surprise party-givers in history. Myungwoo presents me with apples of all things. Eunbok’s here too. My trial and reduced sentence had a similar effect on his own. I meet his eyes in understanding, as a fellow former child of Lee Joonyoung, finally having found my own feet. He tilts his head towards the table, creaking under the weight of plate-loads of food. They’ve made chocolate cake, I realize and make the beeline for it. Jian waits until I’ve had a slice and managed to get a bite down among claps on the back, on the shoulder and on any other part Myungwoo can get of me. “It’s good, isn’t it?” she beams, clearly its maker. It really isn’t. Hyun wince as I take another bite before I realize I’m wrong. My first laugh in twenty years wells up within me, gushing forth like water from a newly discovered wellspring. Hyun’s eyes widen, then tear up at the sound. Hyun enters and I hide the pamphlet. I’ll surprise him this time around. “Want to watch a movie?” he asks. He finally realizes that I left to give them some privacy. His cheeks redden every so slightly before Jian enters, ducking through the hand he has against the door frame. I allow myself to be dragged out of bed. She doesn’t treat me like a child but like a co-conspirator, someone she’s planning a bout of mischief with. Like a brother. There is one crime that I can never truly atone for. I remember seeing her sitting, beaten and bruised in her apartment. I debated on telling her for years. But there are some things that should remain secret. Thankfully, I have much fewer secrets than most. I’m grateful I have only one. Hyun takes Father’s chair, stretching out, his right leg over his left. I take the plush leather armchair to his left and adopt a similar position. Jian perches on the ottoman as the movie starts playing. I notice my brother ever so casually perch his right foot next to her knee and stifle a smile. It takes precisely a minute for Jian to give us dirty looks. 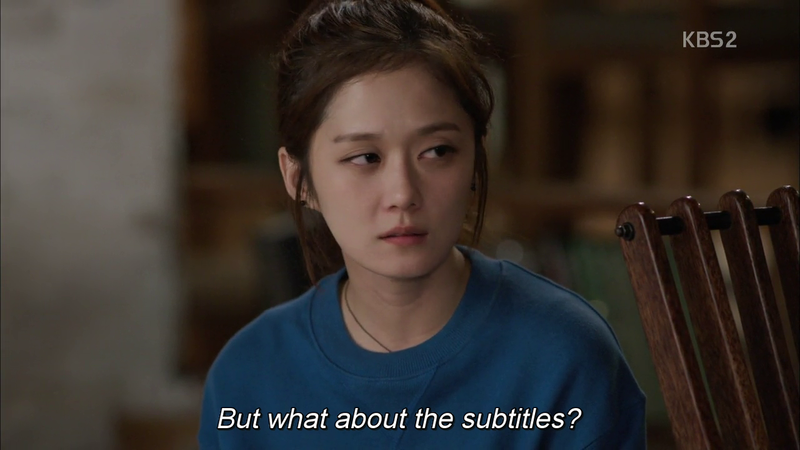 “What about subtitles?” she asks. I stare at her in surprise before realizing that of course she wasn’t the type to have studied English. Hyun gives me a commiserating glance before shaking his head, but the smile remains. Jian looks between the two of us and gives up. We go shopping the next day. I hadn’t realized how used I was to the orange jumpsuit until I entered a department store. It felt unfamiliar at first, but the memories of how to interact in such a place slowly returned. I shove them away. My life begins anew now. My first time in a department store won’t be as a child, desperately wondering what my brother would have thought of this T-shirt, or hoping that my brother would swoop in from the crowd and rescue me. It was- it is now. This moment. I walk with Jian who keeps trying to shove me into pastels and Hyun who has me measured for a suit. I will replace my past. Laden with bags, we stroll by the same fountain Hyun and I passed nine years ago, before Lee Joonyoung vanished. Jian suddenly pauses. “Should we take a picture?” she asks, already whipping out an enormous selfie stick. Hyun’s surprise mirrors my own. He hadn’t told her of the last one we took here. “Isn’t this a great spot,” she chatters happily, flinging an arm around my shoulder and trying to sling one around Hyun’s and hold the selfie stick at the same time before realizing that she lacks one too many arms for that. She leaves the hand around me and gives the camera a wave. 3,2,1. A faint click sounds. “Smile a bit, you two,” she looks from the picture to us with exasperation. Hyun and I exchange glances, as she readies the camera once more. I put my arm around her neck, my fingers just managing to reach Hyun’s broad shoulder. He returns the gesture. We stand like that for an instant, arms interwound around each others necks and shoulders. The knotted bonds of a family that began anew. Jian sniffs suspiciously. I feel for my handkerchief with my free hand but she recovers, raising the selfie stick high. Sunlight glints off its appalling shade of pink. A barely perceptible breeze lifts the hairs on the back of my neck. I inhale it all in, in the three seconds before the click of the phone’s shutter. The bustling crowds, the sweltering heat, the male hand firmly on my shoulder, the much thinner female hand around my neck. The years rush backwards and I see a child standing in my place searching for something he’s not sure he’ll ever find and taking the wrong path to receiving it. “It’s okay,” I tell him. “It’s alright now. The child pauses, the words sinking in before he smiles widely, a toothy grin stretching from ear to ear. I hug them both tighter and feel my lips do the same. We beam radiantly at the future. Dear, dear…. you really outdid your impressive reviews with this love!! How much should I pay to see this fanfic to be played on screen by Seo In Guk, Jang Nara, Park Bo Gum, and the gank?? It was so beautiful that I really wish there were any means for me to see it for real. You made everyone’s future reactions and interactions spot on. I just hope the future Min also found himself a sweetheart. I dun want him to grow old alone, while his bro and Ji An lead a beautiful life, presumably with a couple of cute babies. Beautiful, i was near tears can’t stop smiling. Its really beautiful. Thank you so so much! I’m so glad you liked it 😀 I just needed closure so bad that I had to get this down, and I’m honestly honored that it gave you closure as well! This is one story I can read again and again. You must be a professional fiction writer. I’m glad I saw your post in Dramabean’s comment section for the IKY finale recap and followed the link. Thank you! Yes, I was wondering the same thing. You’re very creative–Lawyer Jang and Cha, nice touch–and your writing is clear, uncomplicated and heartfelt. I cried several times… such a nice, redemptive ending. Love this…. Happy ending. But I would like to ask u didn’t they get married? I in love with ur fiction. I already read it several time. 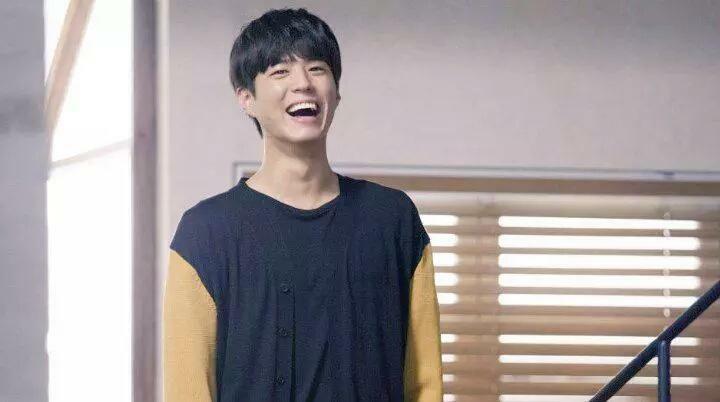 I want to request to write another fiction from Hyeon point of view where we can see his feelings for everyone. Full drama was expression based. Really want to know how much he missed Jian & how he tells her “I love you”…. Thank you for the universe where IHYV and IRY co-exist!!!! I have been very worried what if Min turns himself in and got the worst punishment for several murders he committed. How could I ever forget Jangbyun and Lawyer Cha – the 2 best public defenders we have ever known? 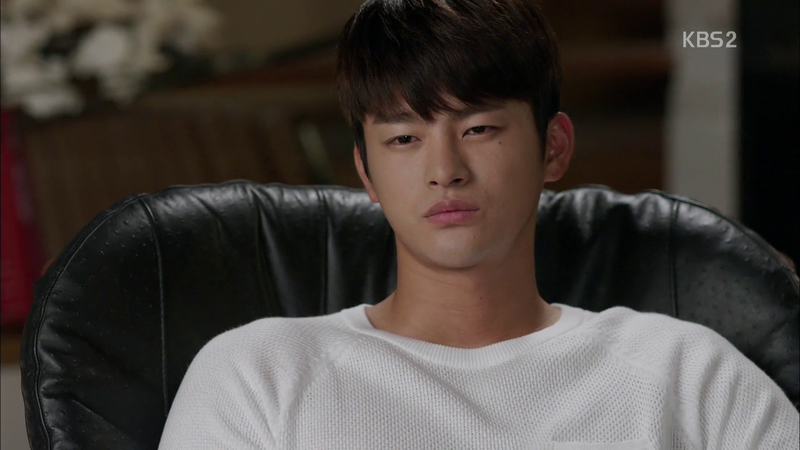 Not to mention that they are also assisted by a handsome and intelligent mind-reader police officer Park Soo Ha? Milllion hugs from me to you! Ah my Dear! This was wonderful!!! I stole time to read you and I’m more than well rewarded!!! You have got the characters just right and my favorite lawyers too and judge!!! And Park Soo Ha!!! Oh I missed him. What a wonderful continuation. I was grinning throughout and I love the gifs and pictures. Soooo right! OMG my eyes are teary…and really that takes a lot. You capture everything so perfectly, their nuances, their gestures…it’s perfect! 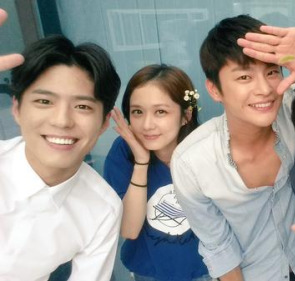 I’m so, so sad it’s over…yet I’m grateful that this drama exists at all. Thank you so much for this closure. I got your link from drama beans. Keep on writing! Hi! !your epilogue is daebak! !how i wish it will be brought to screen. I like how you relate it with i hear your voice coz i also cant get over lee jong suk and lee bo young and the story it tells. Your blog is a hit and the pictures are sooo cute.. I certainly hope for season 2 on this. Thank your epoligue on this!! !Good luck and hoping to read more of your blogs. Loved the fanfic. It fulfilled almost al that I ever wanted from the show, save the must-happen capture of LJH and of cos, wedding. But it’s beautiful. Forgive me for not writing on every single page of review you’ve done on IRY. I loved reading them all. Thank you so much!! I gave up this drama after 2 episodes and finally decided to revisit it after the year end reviews ! And am glad I did ! And I found your blog here on final recap comments ! I was literally sniffling and teary eyed throughout from start to end! This was so beautiful! So so so good! A perfect epilogue closure for a drama with such awesome characters! I found this veeery late, but I’m so glad I it exists!! Thank you for the closer! !